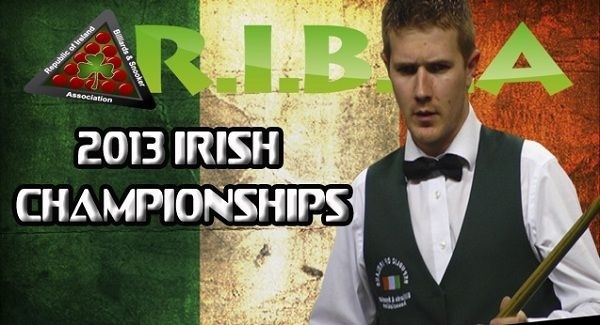 The 2013 RIBSA National Championship Weekend will be held in the Ivy Rooms Snooker Club in Carlow from the 24th, 25th and 26th of May. 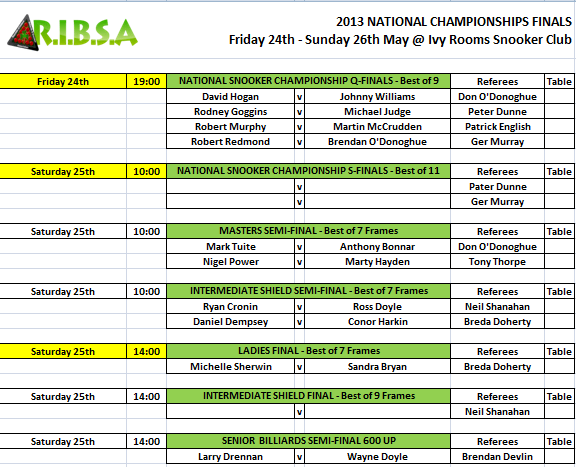 Action begins on Friday night at 7pm with the Q-Final of the Senior Snooker Championship. The winners will play again on Saturday at 10am in the Semi Finals with the senior final schedule later in the day at 4pm & 7pm. 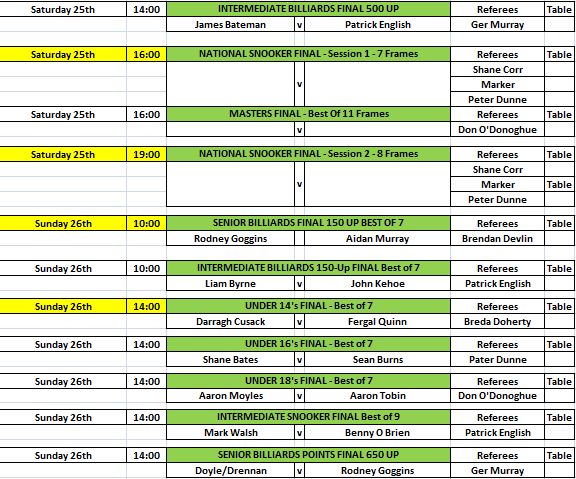 Along with the Senior Championship, The Masters Snooker Semi Final and Final will be played. The Intermediate Snooker Shield Semi Final and Final. The Ladies Final, The Intermediate Billiards Final and the Senior Billiards Semi Final will be all played on the Saturday. On the Sunday there will be more superb play in the National finals of Senior Billiards 150 up. Intermediate Billiards 150 final. Under 14 Snooker Final. Under 16 Snooker Final. Under 18 Snooker Final. Intermediate Snooker Final and the Senior Billiards 750 Final. It promises to be an exciting weekend of Snooker with Ireland’s finest cueist in action all looking to win a National title. Live Scoring and Live Streaming of one table will be available over the weekend. All players should be aware it is full dress for all matches ie. Black Slacks, Plain Shirt, Black Shoes, Waistcoat and Bow Tie.